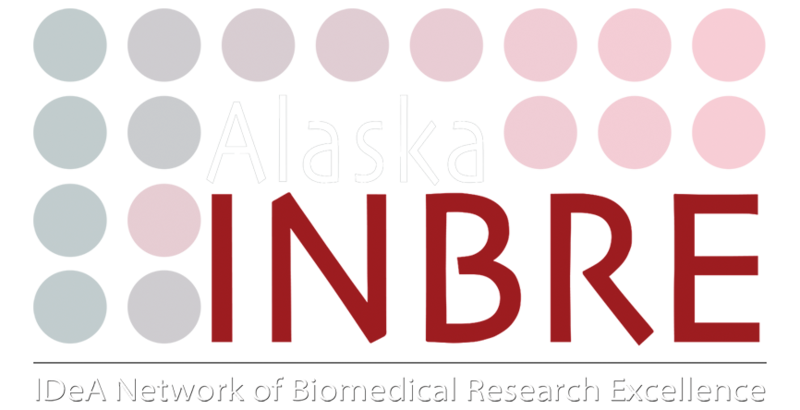 In June 2018, UAA undergraduate student Brandon Maniaci applied and was accepted to participate in the NIH Visit Week and was awarded an Alaska INBRE Travel Award to attend. NIH Visit Week is an opportunity to expose Native American, Alaska Native and Native Hawaiian student to the NIH and to biomedical research and healthcare careers. 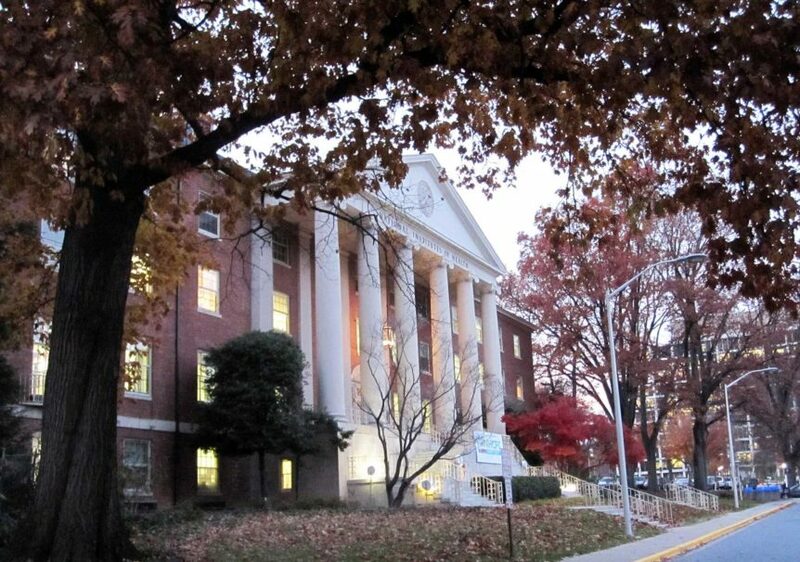 Students participate in science career workshops, interactions in selected NIH laboratories and in clinical research settings, a science journal club, informational interviews and professional networking opportunities. In addition, they meet with students in the NIH SACNAS (Society for the Advancement of Chicanos/Hispanics and Native Americans in Science) Chapter and learn about NIH internship opportunities. Highlights of Brandon’s trip included how to apply to graduate school, hearing about specific research projects, and learning about applied research, translational research, and clinical trials. “I enjoyed learning about cutting-edge clinical trials that are carried out using therapies that NIH scientist developed,” he said. The unique resources at NIH also left an impression on Brandon. For example, NIH researchers have access to rare disease patient samples. Brandon spoke with Jackie Lavigne, Ph.D., MPH Chief, Division of Cancer Epidemiology & Genetics, Office of Education National Cancer Institute (NCI), about her specific research at NCI and graduate school. Brandon is now considering a post-bac at the NIH before going on to graduate school and would consider the NIH for eventual employment. Maniaci is in his last year of undergraduate study. He has always been interested in the sciences but was lucky enough to have an incredible science teacher (Mr. Walters) at Colony Middle School who taught him entomology and astronomy and really piqued his interest in science. His sister, Breanna Maniaci, who works in a UAA lab, encouraged him to find a lab and research project. 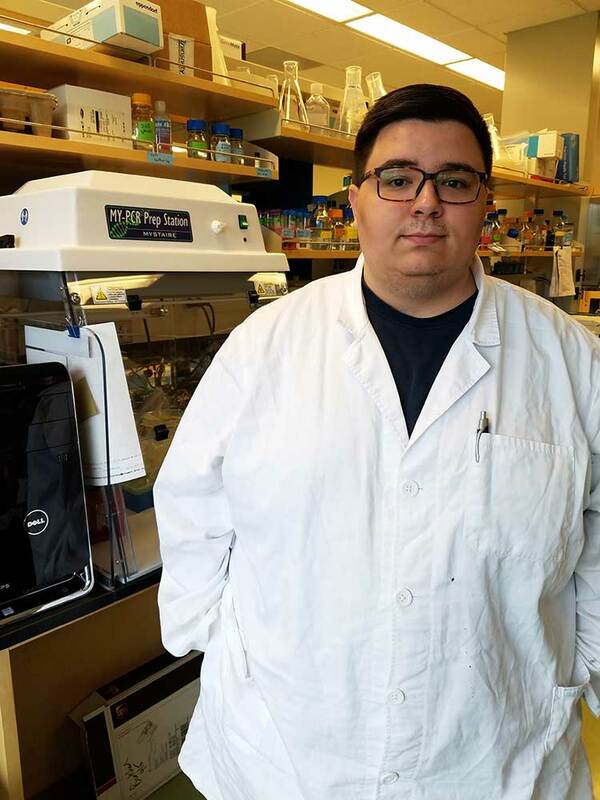 After taking an immunology course with Dr. Bortz he started working as an undergraduate research in his lab. They are researching the effects of Poly-(I:C) (an immunostimulatory viral RNA mimic) on lung adenocarcinoma and breast ductal carcinoma in culture specifically the up-regulation of immune checkpoint ligands (PDL-1 and PDL-2). Brandon plans to apply to graduate schools in the Pacific Northwest and his first choice would be Oregon Health Sciences University (OHSU). He wants to continue studying immunology specifically in the field of cancer biology. He is also interested in the study of epigenetics. His end goal is to obtain his Ph.D. and work in a biomedical research lab. Congratulations Brandon and good luck on your senior year at UAA.